It's hard to believe that just over a week ago we were facing down a red weather warning for snow and freezing temperatures. By Thursday afternoon my office was closed as were most public buildings across the country with advanced closures for Friday already announced. Talk of snow was not in inches but metres, drifts were expected and all travel was strongly discouraged unless absolutely necessary. Needless to say the supermarket shelves were quickly stripped and for once, at least for most of you, the warnings proved well founded. Snow did indeed fall in huge quantities leaving some communities cut off for several days, water pipes did freeze and as those unfortunate people forced to spend over twelve hours stuck on the M80 will testify, travel really was a bad idea. Unless of course you lived in Swansea. My colleagues and I had spent the preceding few days watching weather forecasts with a sinking sense of inevitability as projection after projection showed this particular part of south Wales devoid of snow almost entirely. Yes temperatures were likely to be the coldest they'd been for several years but it was as if a giant dome had been placed over us keeping the white stuff at bay. And so it proved to be. Other than the occasional flurry we escaped completely untouched yet travel fifteen miles in any direction and things were very different indeed. It was only by Friday lunchtime that one lane of the M4 managed to reopen past Cardiff yet I spent an unexpected bonus day's leave pottering around the garden. By Saturday it was clear that we were to be spared so instead headed down to WWT Llanelli to see what was about. Needless to say it was very cold with the ground frozen solid as were most bodies of water. The captive Nene, unused to this sudden lack of visitors, were even more demanding than ever and we ended up purchasing a bag of seed to ensure safe passage through (this may be a slight exaggeration - ed). It was clear that our wild birds were feeling the pinch as well with Redwings and Fieldfares popping up all over the place including a sizeable flock outside the Michael Powell hide. These had been joined by several Meadow Pipits, a none too regular record for me here and one which had the resident Sparrowhawk taking a few hopeful passes but without success. Six Pintails was another good record but Lapwing numbers were lower than expected, most having spread far and wide across surrounding areas including one in our neighbours garden. Talk about having to do a double take! 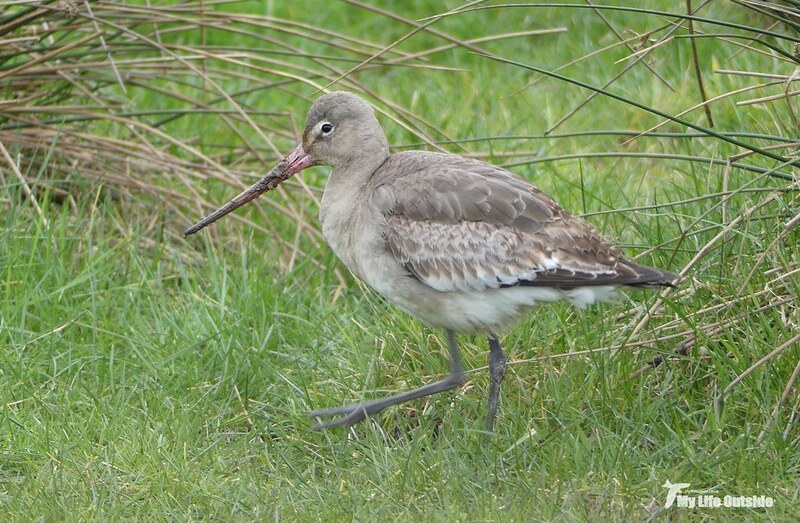 The Black-tailed Godwits were also notable for their absence with the exception of one individual which gave brilliant views as it paraded back and forth. 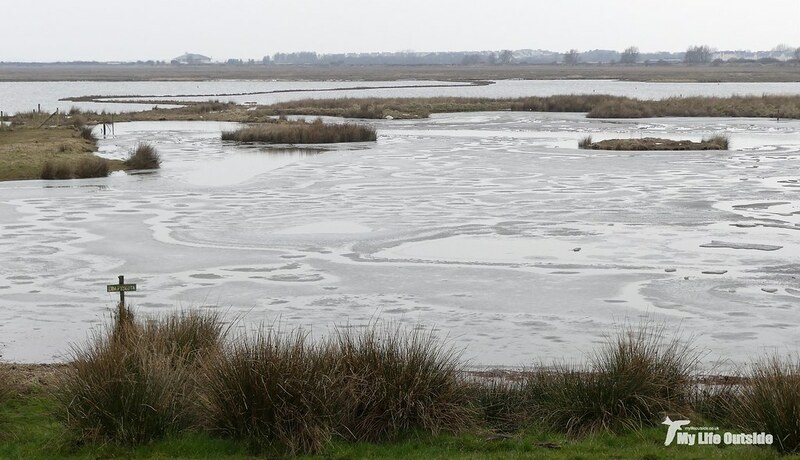 Unfortunately there was no sign of the two long staying Spoonbills who were perhaps wondering if Britain wasn't such a great place to live after all but we did stumble across a Common Snipe, again at close quarters. 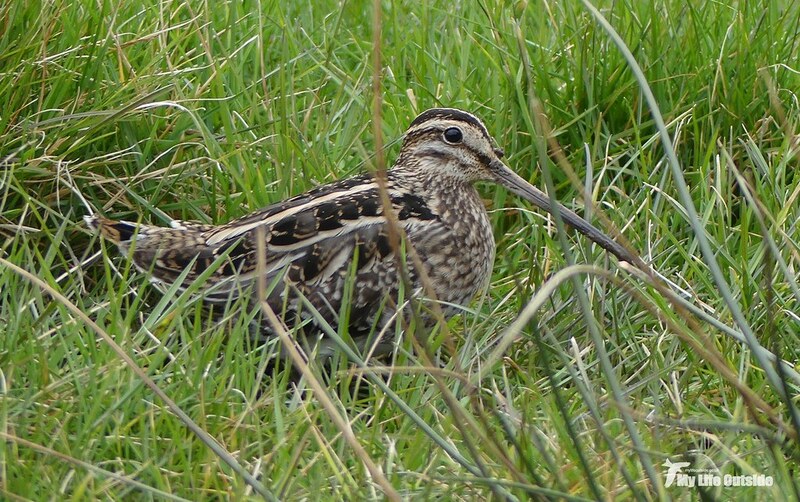 Hunkered down at the back of the NRA scrapes it was nice to finally get a semi-decent Snipe photo having missed out on a perfect opportunity at Titchwell a couple of weeks before. Elsewhere on the reserve saw a similar story. Relatively low numbers of birds but a decent selection including an abundance of winter thrushes. We did try for the Hawfinch but dipped again although I was probably just as happy to have seen a Green Woodpecker over in the Millennium Wetlands, a welcome blast of colour on this dullest of days. Still didn't make up for the complete lack of snow though.